A menu is often associated with restaurant operations. However, there are different ways on how entities can make use of this tool. 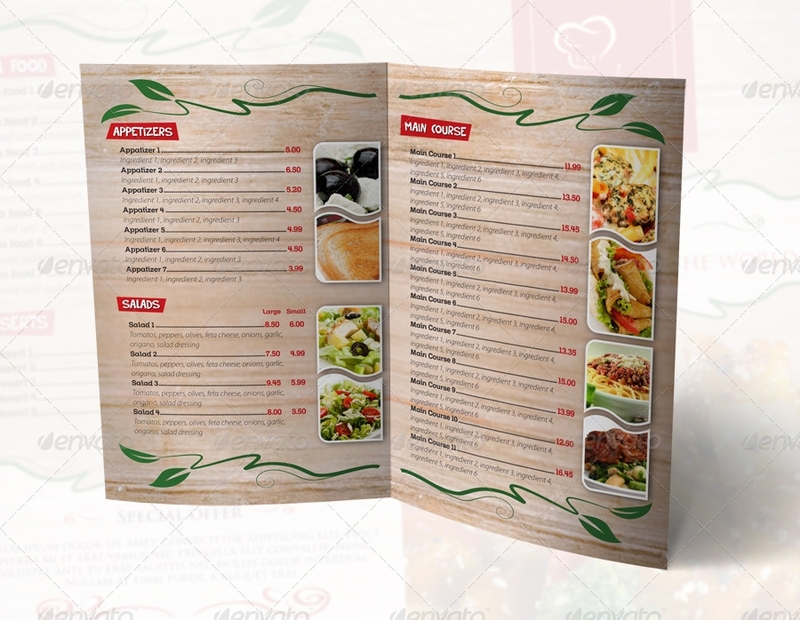 Printable menus are not only limited to be used by food establishments as they can also be a part of the materials that are necessary for the full-implementation of events, gatherings and other activities. As a list of the food items that are available for consumers, guests and/or attendees; printable menus play an important role in creating awareness about what people can expect in terms of the food that they will eat for a specific time period or instance. 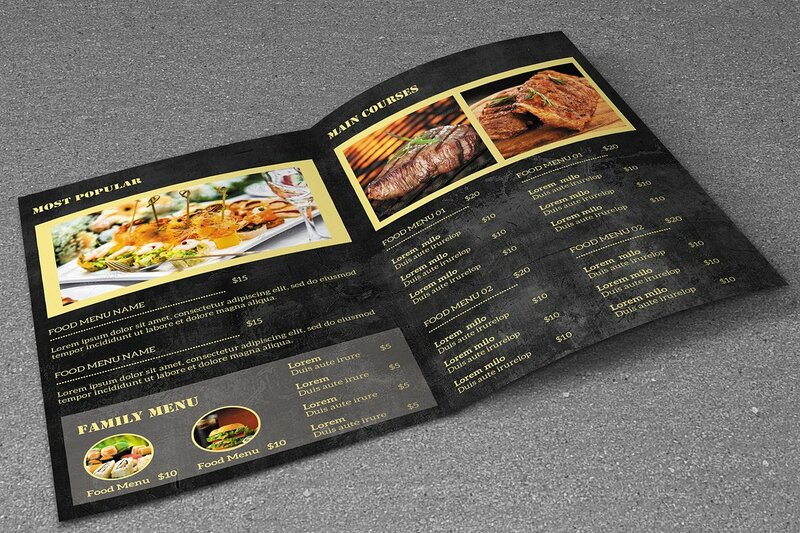 The success of the entire process of restaurant menu creation will rely on the knowledge of the management about menu planning, design implementation, and branding. 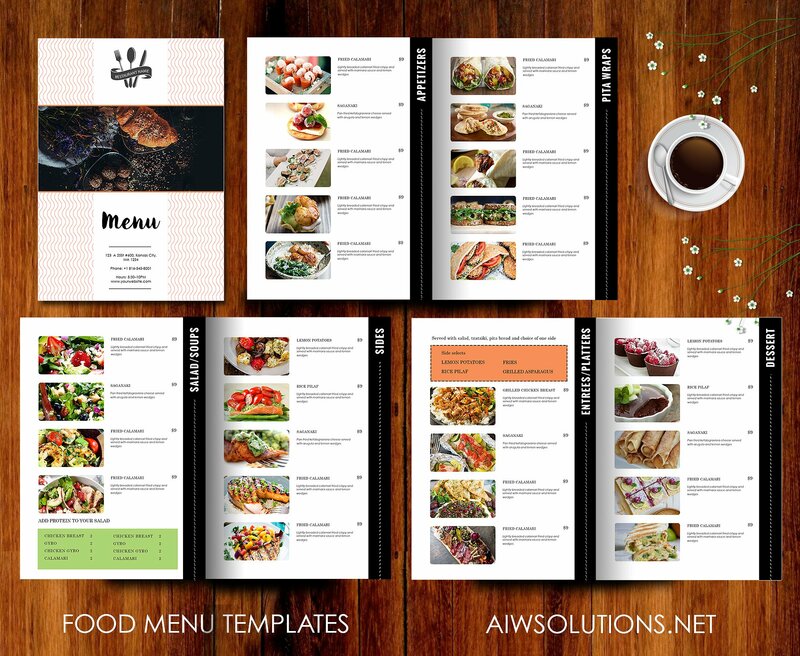 We have listed thirty printable menu samples and templates which can be useful for this kind of undertaking. May it be designing a new cafe menu or developing an event menu, referring to existing samples and usable templates can make it easier for you to come up with a menu that is both effective and appealing. A restaurant menu is the first thing that is given to us by restaurant servers or ambassadors upon seating. There are also instances where these menus can be placed on the entrance doors of the establishments so that customers who are waiting to be seated can already browse through the selection of foods that they can order. 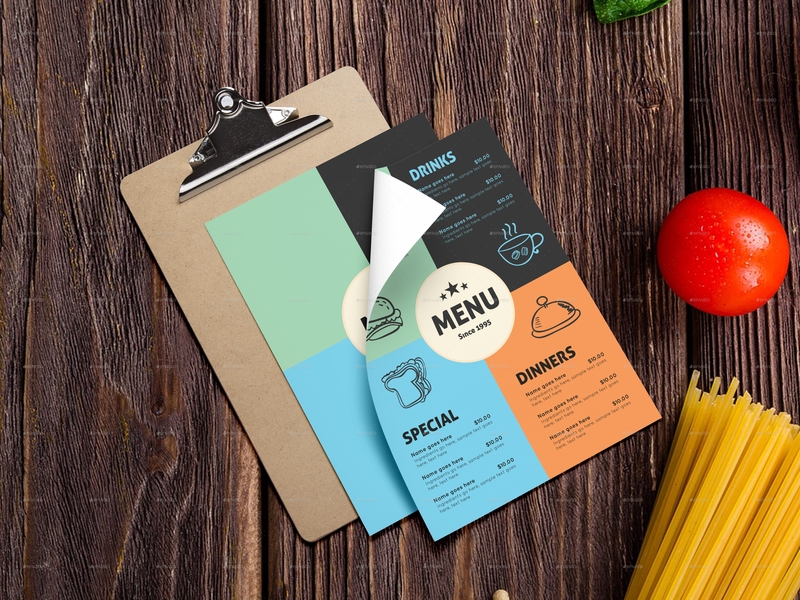 Through food menu examples, consumers can fully maximize their time in the restaurant through learning more about the food items that the restaurant offers. The name of the restaurant. You can also place the business address of the restaurant below the restaurant’s name if you would like to. 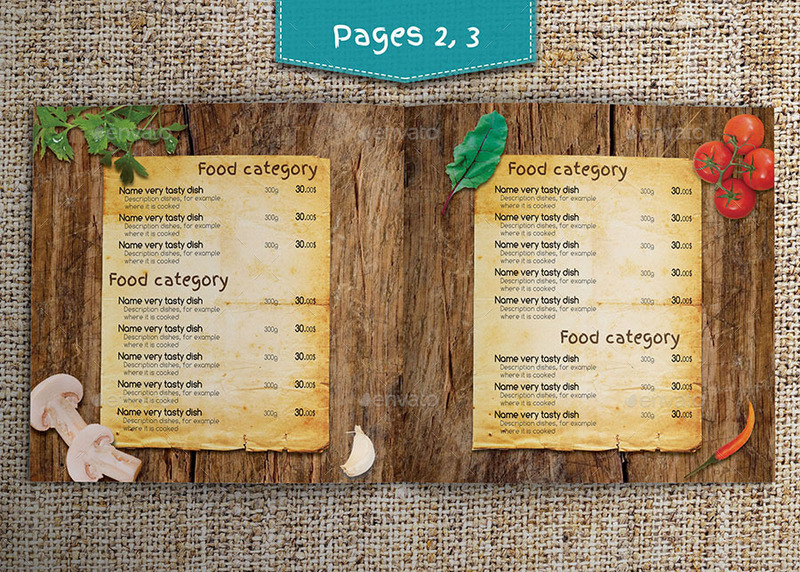 This will depend on the format or template that you will follow when creating the restaurant menu. The logo of the restaurant. The restaurant’s best logo design is commonly placed together with the restaurant’s name. However, there are cases where only the logo is used especially when the major design of the logo is the restaurant’s name. The prices of the foods listed. Your pricing should always be updated so that customers will not be misled with the total amount of their orders. It is very important for you to ensure that your customers are fully aware of what they will pay for as well as the value that they will get in exchange of the money that they are willing to provide you with. Aside from this basic information, you can also include a few additions to your restaurant menu like a brief history of the business or some interesting facts about the business operations that can help you get both the attention and trust of the customers. 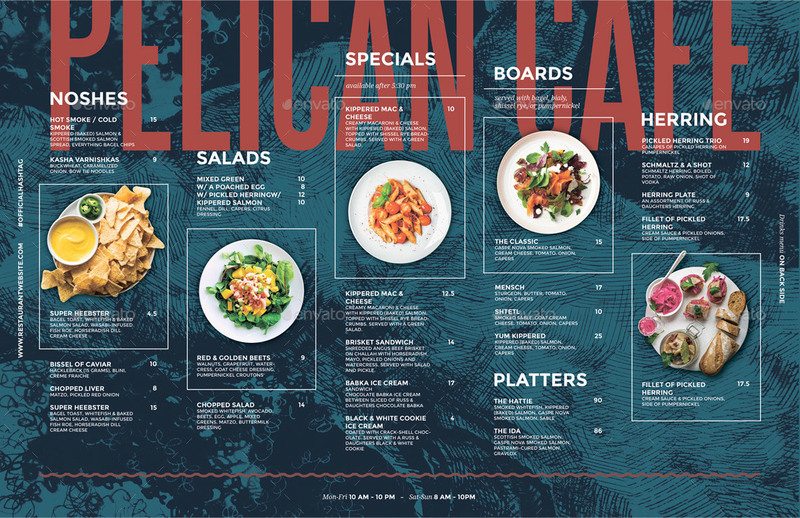 Whether you will develop a restaurant menu brochure design or a traditional food menu, what is important is for you to include all the necessary details that your target customers must be knowledgeable of. 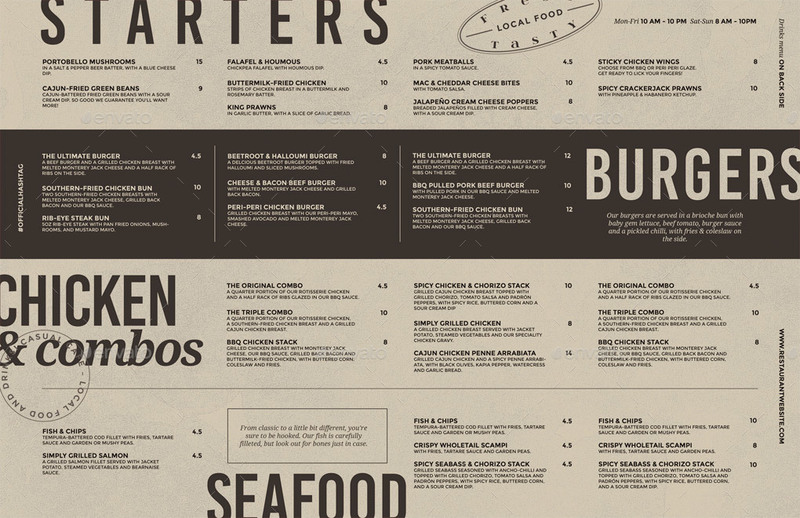 A restaurant menu can serve as a branding material for the business. A strong branding for a small business does not only end in creating a professional logo. The design that will be applied to the restaurant menu also is commonly a reflection of the aesthetic and brand of the restaurant. With this, the branding of the business can be carried out in the menu. This helps people to be immersed even more in the brand that the restaurant likes to project and be known for. A restaurant menu showcases the offers of the business. It is already a given that restaurant menus are lists of the food items that people can order from the restaurant. To be more in-depth with regards this matters, having a complete and updated list of food and beverages can make it easier for customers to decide on what to get – hence adding to a great customer experience that they will have during their specific restaurant visit. A restaurant menu can entice people to buy special offers and unique food items. 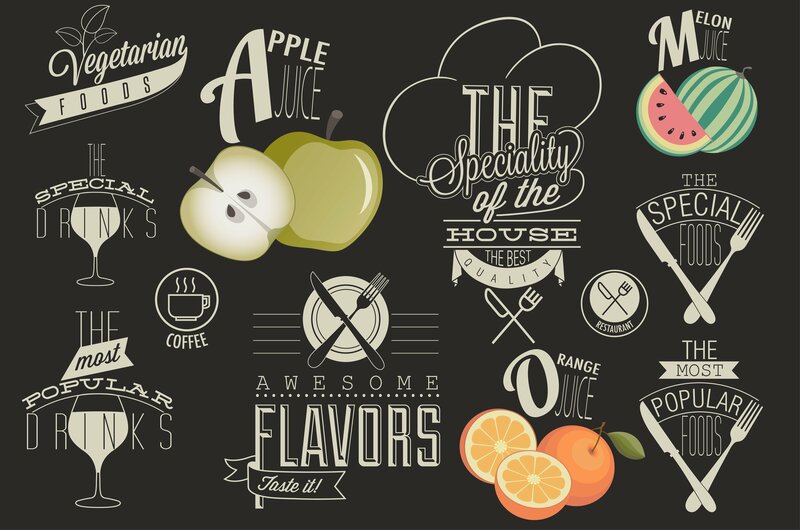 The management can incorporate food-branding ideas when developing a restaurant menu. Through the display of offers, discounts, and bundles in the menu; customers can be more excited to order and try the products of the business. 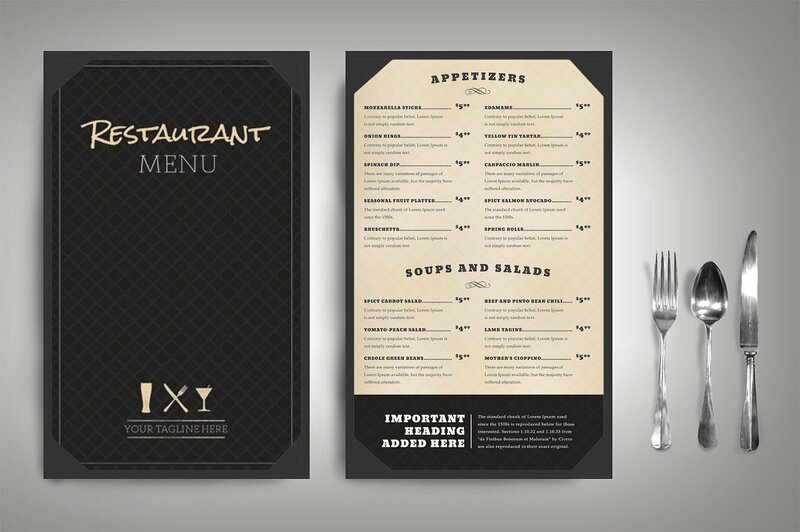 A restaurant menu can provide information about the restaurant and how it is different from its competitors. 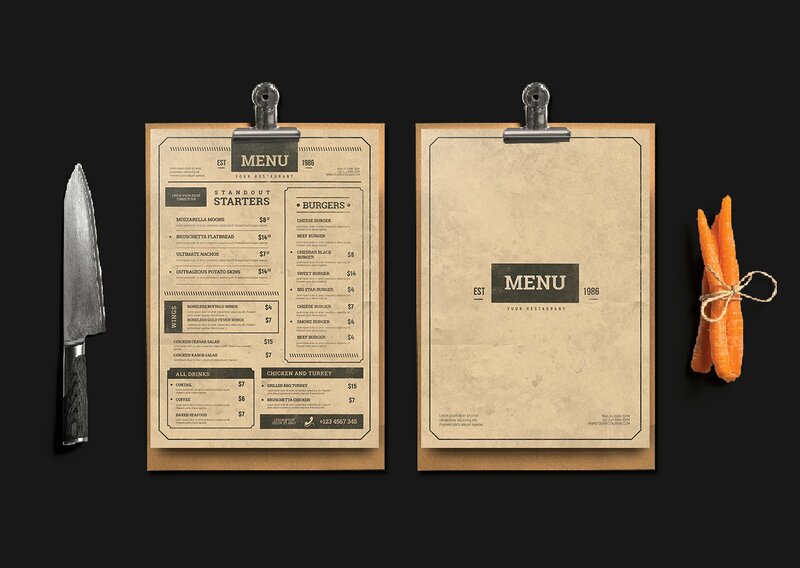 As we have mentioned above, a restaurant menu is also a branding material. Through the usage of an effective restaurant menu, customers can see the selling point of the business and why it is better for them to practice their purchasing power to the restaurant and not to its competitors. There has been a rampant growth in the food industry when it comes to the development of cafes and tea houses. As much as relationship marketing is involved, it is essential for establishments to ensure that they can provide the demands, needs, and wants of their market. This can be one of the major factors why these types of food businesses are deemed to be one of the most sustainable food-related establishments nowadays. The food offers that are present in a cafe and tea house menu are simpler and fewer compared to that of a restaurant’s. The menus used by cafes and tea houses can sometimes focus on a particular line of beverages or food items. Cafe and tea house menus can be more themed, as there are lesser stakeholders involved in the processes of design creation when compared to restaurants. Since there are already different business ventures that try to innovate cafes, tea houses and the like; there is a chance for the above menabove-mentionedion to not be applicable in all situations. When creating a comparison may it be on the business operations or the menus used by these establishments; make sure that have an in-depth knowledge of how the specified establishments are presented and operated. Having a complete, organized and well-designed menu can help cafes and tea houses to provide a positive impression. This means that there are more people who can provide their loyalty and purchasing power to the business once they are already aware on how the business would like to be perceived. 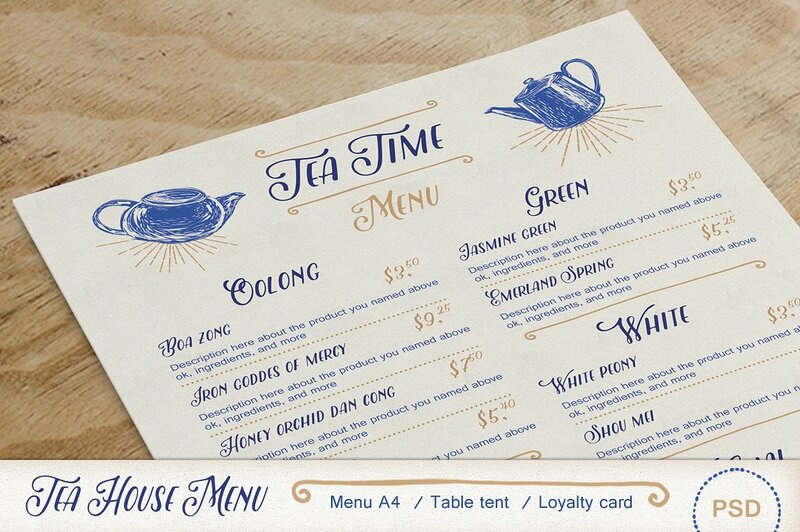 Using an effective menu can reflect the theme, aesthetic and branding of the cafe or tea house. The brand presentation and its consistency throughout the materials used by the business can promote retention to current customers. This can also be of help to gather new markets and develop client awareness to the business’ target market. A food truck menu can be used by a food truck that goes from one place to another or a food truck that can be seen in just a specific location. 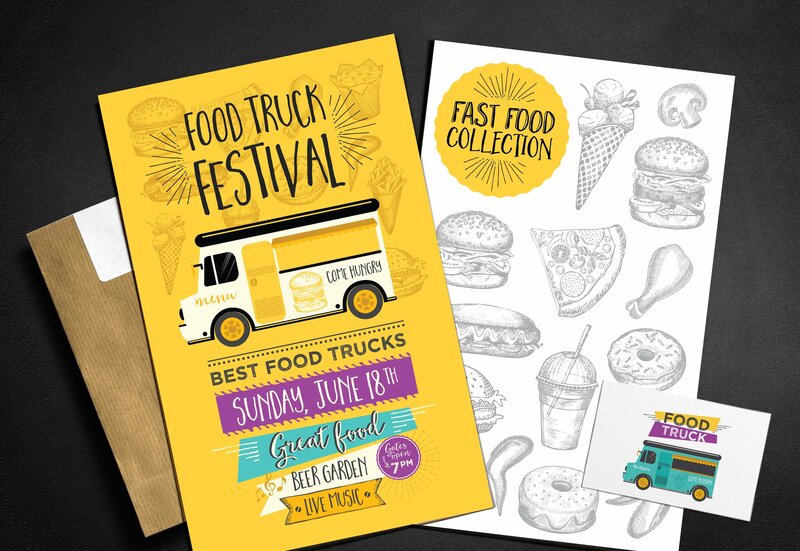 The difference of food truck menus to other kinds of menus is that they are simpler as they can just come in a chalkboard menu example, brochure or flyer type document. Music festivals. A food truck menu is very important to be printed in a lot of copies during music festivals as people are there to enjoy the entire event. Hence, food truck owners need this tool to market their food items in the most effective manner. Carnivals. There are a lot of food trucks in carnivals as these events sure do get a lot of feet traffic. You can create a carnival-themed food menu if you want to be more related to the event where your food truck business will be a part of. Food truck gatherings. There are food truck parks that let different food trucks gather together during specific dates. This event gives people to have a wide array of food selection. If you want your food truck to stand out from its competitors, make sure to create a menu that is vibrant, bold, and striking. Weekend markets. Since most food trucks travel in different locations, a weekend market is a great place to have business for a specific day of the week. If your food truck will be present in a weekend market for a long period of time, ensure that people will remember you through the usage of a memorable food truck menu. Outdoor trade events and exhibits. Another way for food trucks to gather customers and present its brand is through participation on trade events and exhibits. Get the most out of the experience by using brochure-type menus that you can provide to the exhibit goes and event attendees. The benefits of using a menu are not only felt by food establishments and related businesses. There are events, like weddings, where the usage of menus can provide a positive impact to the hosts and the event guests. 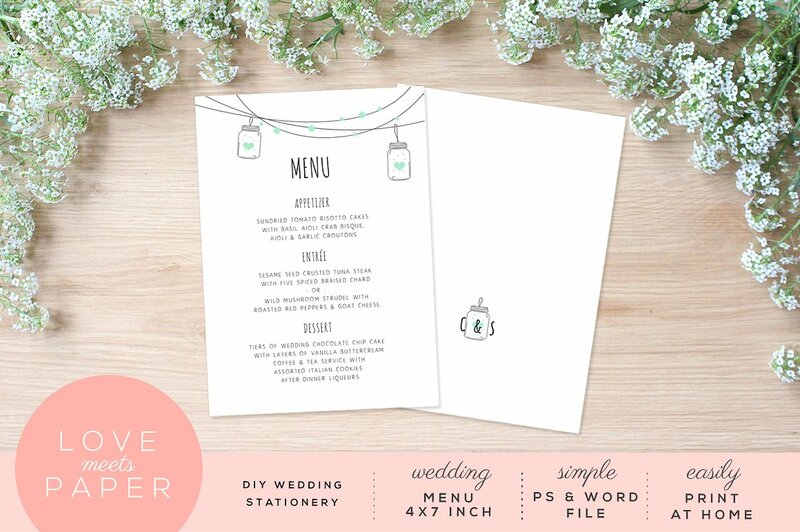 There are a variety of creative wedding menu examples that you may refer to if you are still unaware on how to format and design this kind of tool. More so, be reminded that your wedding menu can already be a part of the package that you have acquired either from your food provider or your wedding event specialist/organizer. Do not forget to always be organized so you can easily identify the kind of wedding menu that is appropriate and applicable to be used during your wedding day. The theme of the wedding. Every material that you will use during the wedding ceremony and reception must have a theme to follow. This can help the flow of the wedding day to be put together and seamless. The color scheme and palette used during the event. The colors that you will use for the wedding menu is an essential factor which can drastically affect the overall look of the menu that you will use. As much as possible, stick to the colors that are mainly used in different wedding materials. Another helpful tip is for you to develop a palette that wedding suppliers can look into so they can easily decide on which of those colors can be combined to create the wedding menu that you would like to have. 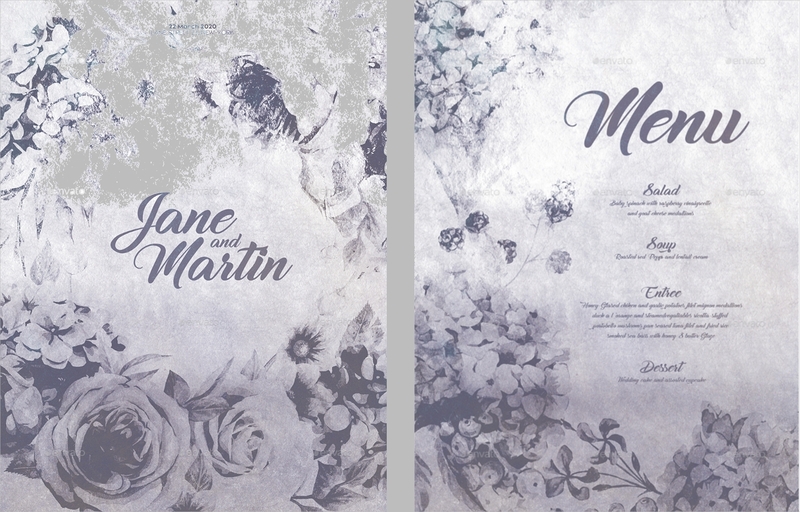 The design that the wedded couple would like to achieve. 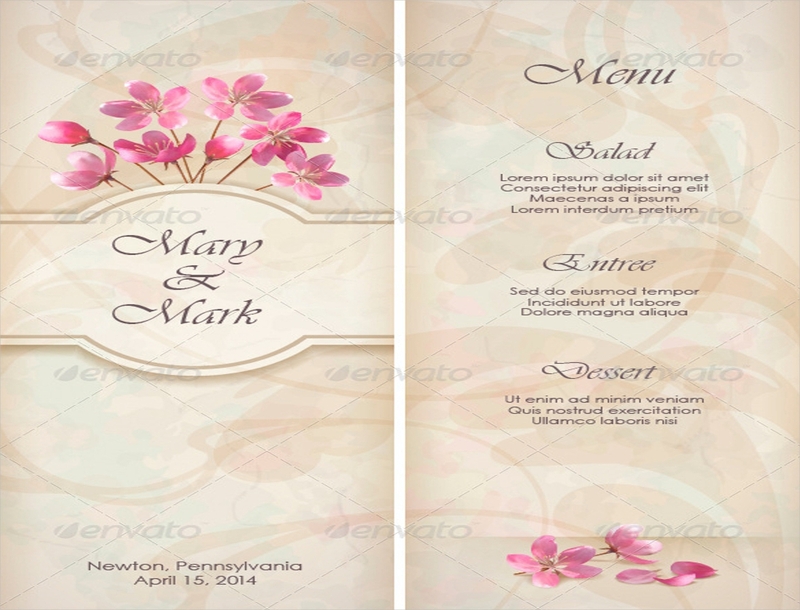 The decision of the wedded couple when it comes to the overall design of the wedding menu shall be highly considered. It is important for businesses involved in the wedding planning, especially those whose functions are relevant to the wedding design, to ensure that the vision of the couple will be carried out even in the most minute details of the celebration. The kind of food service that will be applied during the wedding reception. 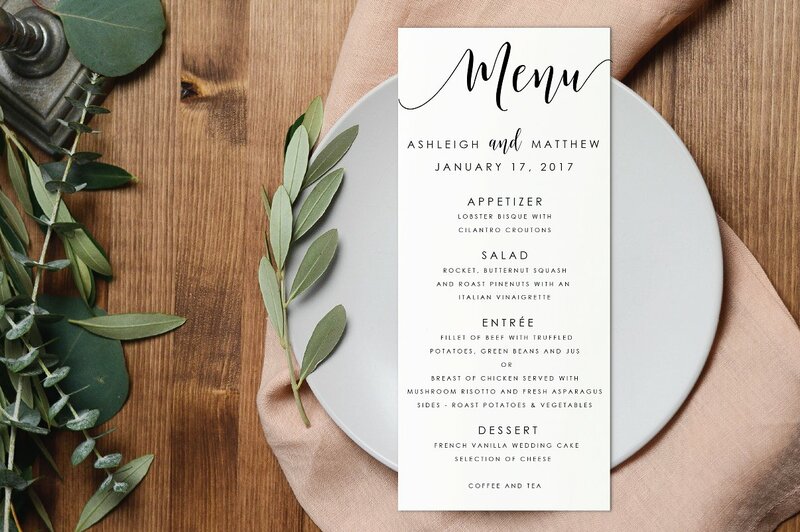 Aside from the design of the wedding menu, the food service also play a vital part on the direction that graphic designers will follow in creating a wedding menu. 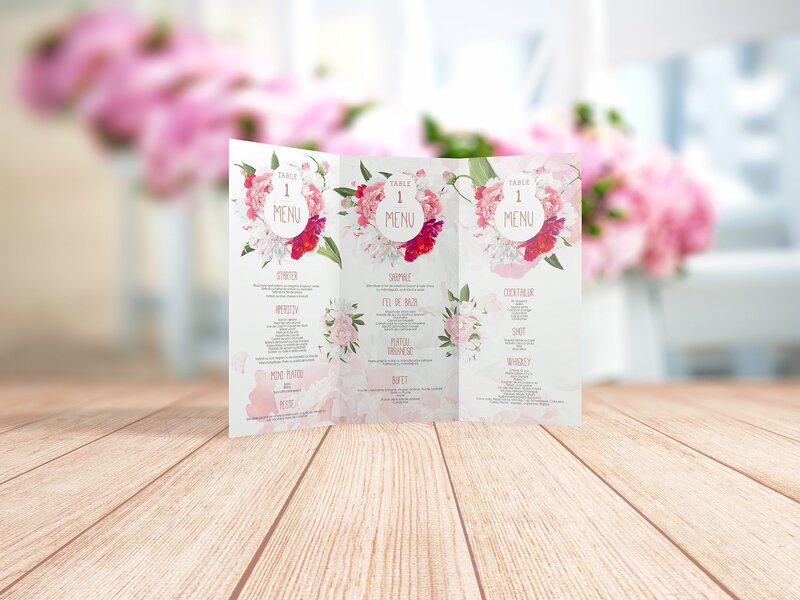 As an example, a plated food service can just be placed in a smaller wedding menu card rather than creating a flyer or a brochure which are commonly used for food service with a wider menu selection. The wedding menu that you will use for your wedding reception is not just an ordinary tool or added material. It is one of those things that guests can remember from the celebration. Hence, you must ensure that your wedding menu is comprehensive and truly helpful during the entire processes of food service. Consider the number of expected guests when creating the menu selection. Make sure to ask for the professional suggestions of your wedding organizers. 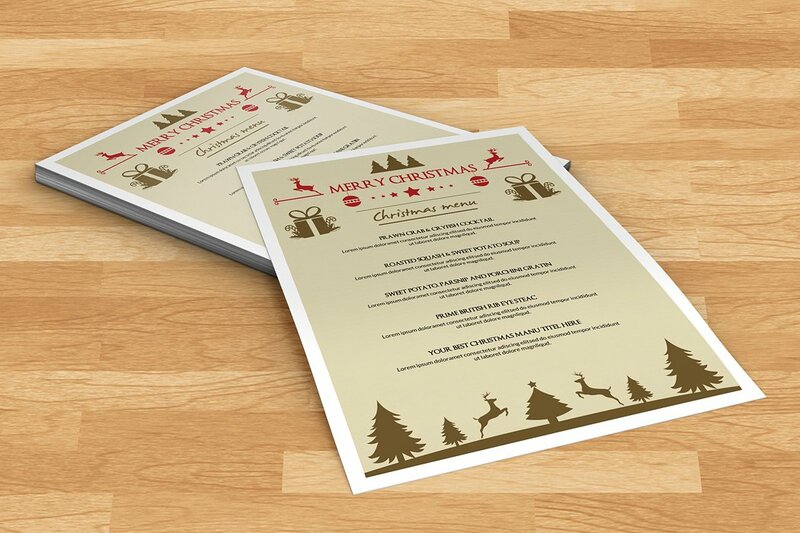 Look for templates that are readily available either online or from your caterer. 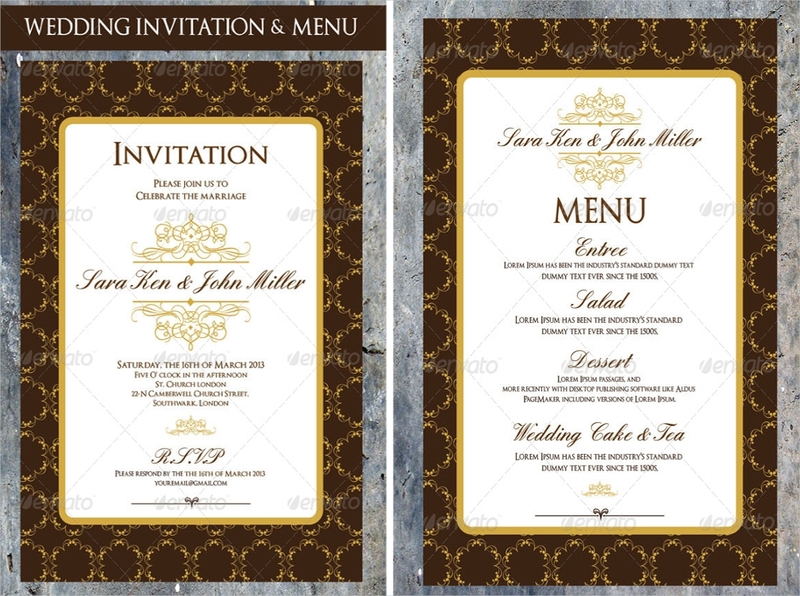 Ensure that the theme of the wedding can be reflected on the wedding menu design that you will use. 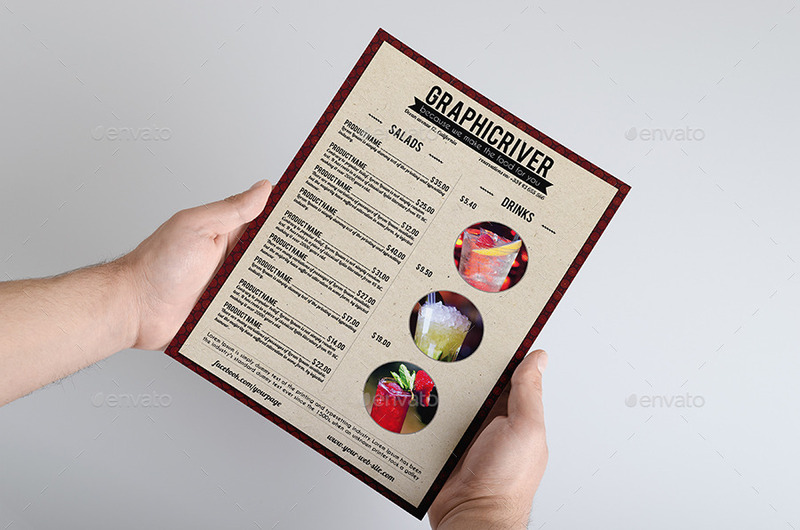 A beverage menu is often used by establishments who have a lot of beverage options or those who would like to give focus on the selection of drinks that they can offer to customers. As the name suggests, a beverage menu is a list of all the drinks or beverages that customers can order from the restaurant. The usage of drink menu examples are commonly seen in establishments that allow people to rest, relax and have fun. The usage of beverage menus is not limited to the above mentioned establishments. 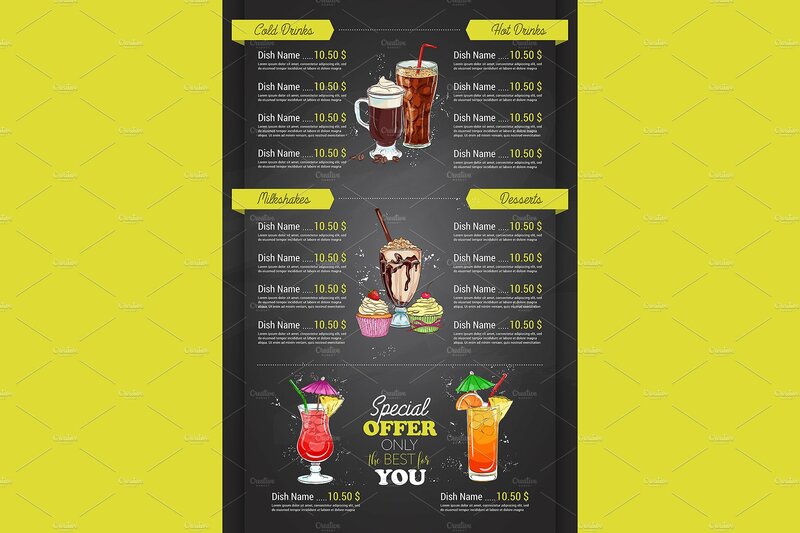 If you would like to offer different kinds of drinks to your customers, then freely use this type of menu to present them the products that are available in your business. Are Beverage Menus Really Necessary? Through a beverage menu, customers can identify the seasonal drinks that restaurants offer. 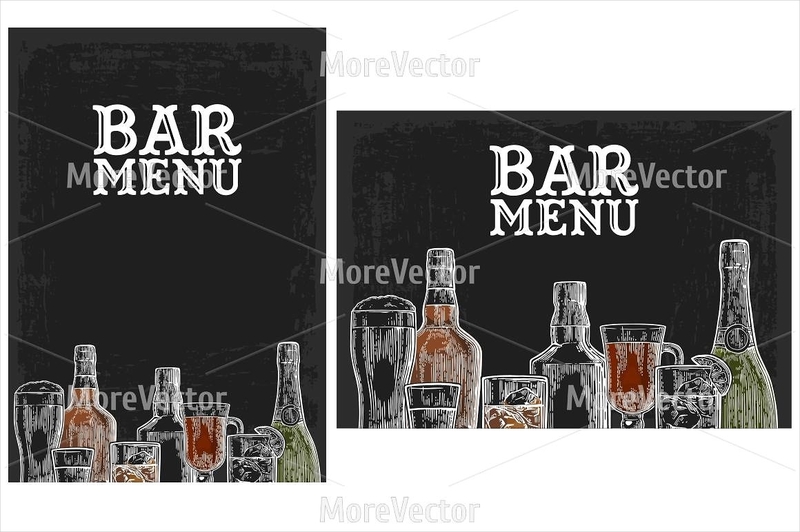 A beverage menu can present both the alcoholic and non-alcoholic drinks of the business. 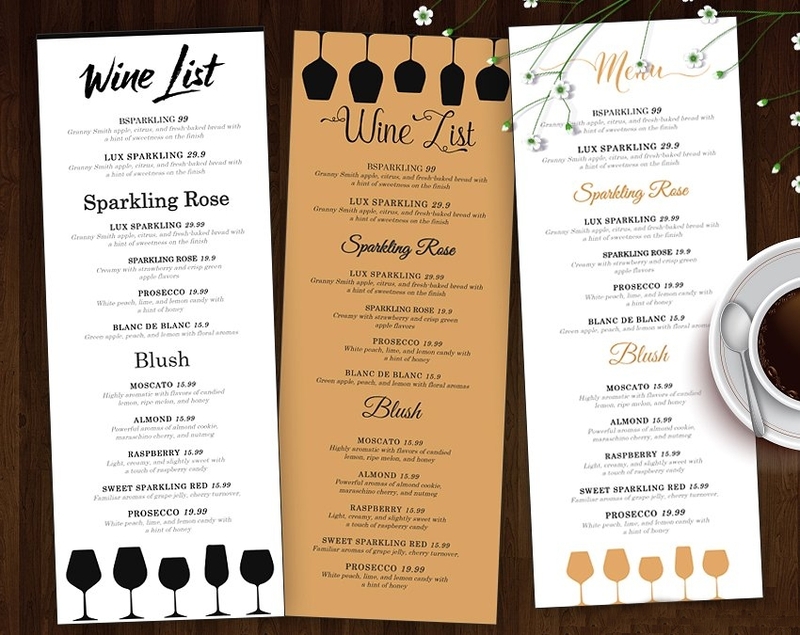 Beverage menus create awareness about the available drink selection that customers can either pair with their meals or order alone. 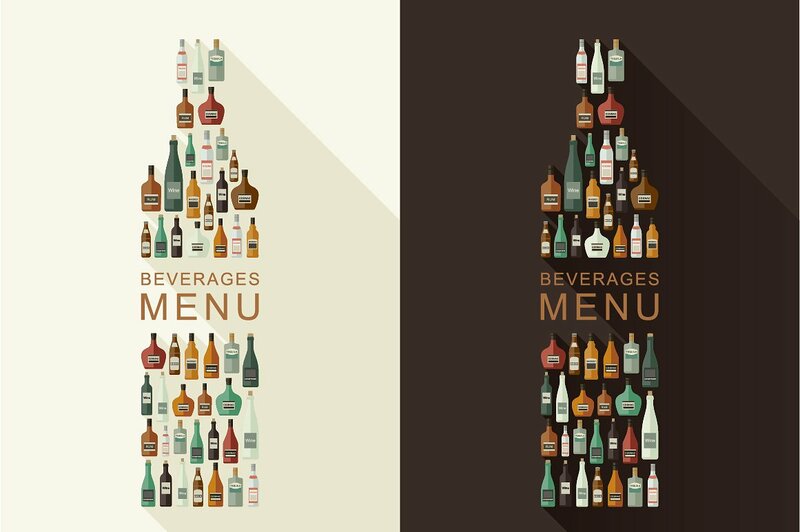 A beverage menu can help customers to easily decide what kind of drink fits their likeness. A beverage menu does not necessarily need to be placed in another template. It can be added to the existing menu of the restaurant. What is essential is for a beverage menu to be formatted accordingly based on the price and kind of drinks that are available for purchase. 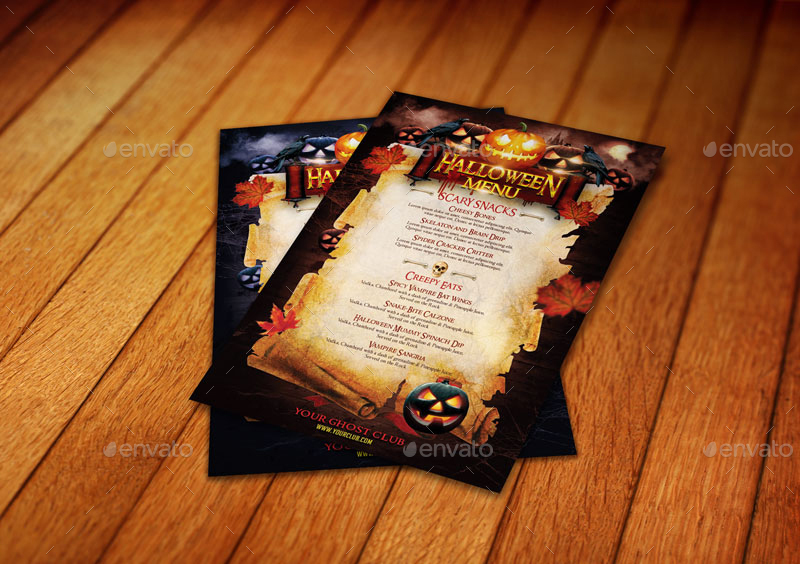 A menu can be used in different kinds of parties. You can use pizza menu examples if you would like to host or organize a pizza party. More so, you can create different themes for the specific party that you want to execute. 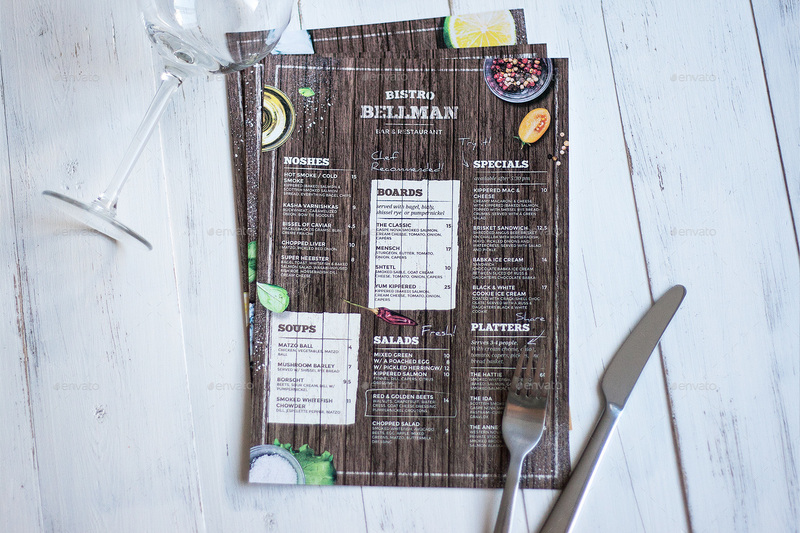 There are a lot of ways on how you can make use of party menus—all you need to do is to be creative when it comes to designing the material. If you want to create your own party menu, ensure that you are aware of the program of the party so you can create a theme that is fit for the purpose of the celebration and the tool’s usage. Aside from themed events, specific themes can also be used to make a menu stand-out. 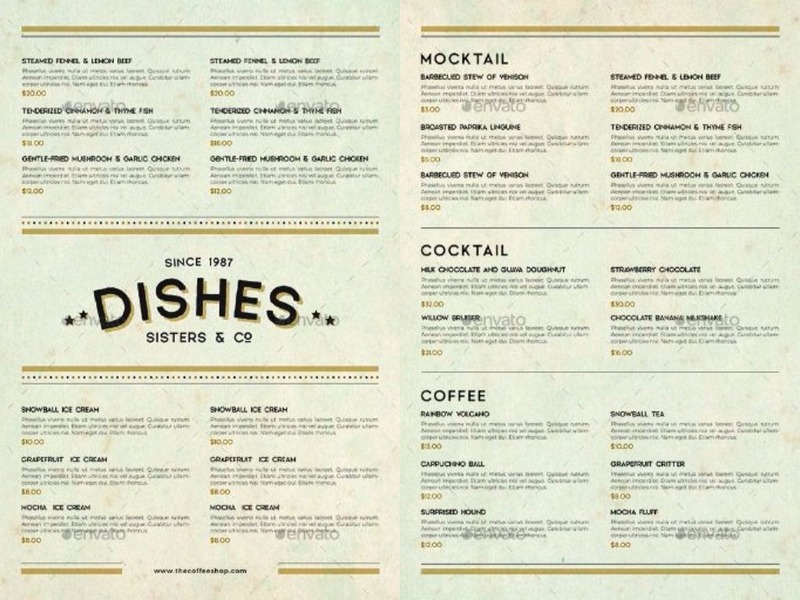 As an example, there are already a lot of menus that took inspiration from vintage and retro designs. A part of most successful branding tips include the discussion about the consistency of the branding of the company. This is the reason why businesses who have vintage and/or retro-inspired themes or offers can maximize the usage of these themed menus. Listed below are some of the guidelines that you may incorporate in the creation of your own vintage and/or retro menu. You can use the presence of inspiring minimal logo samples since these menus are known to be simple in nature. You can also use retro logos so you can stick with the theme of the menu that you will use. Make sure to use the retro and vintage colors. Pastels and faded palettes can bring this theme to life even more. Use block texts and make them a big part of your design. 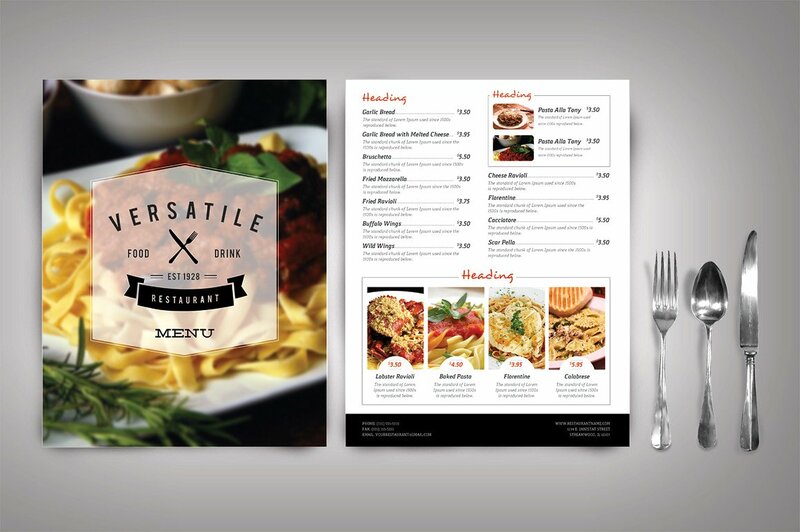 Stay true to the core of your restaurant or food-related business so you can still show your own brand even if you are using this type of menu design. 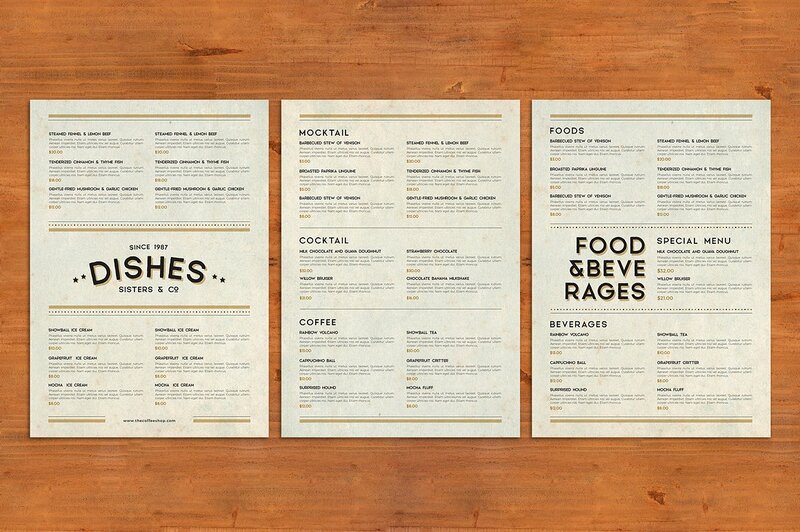 A menu is not just a sheet of paper that people look at. It should be included in the branding principles of establishments if they want to get the benefits of using an efficient printable menu. There are a lot of successful corporate branding tips that you may browse through in relation to the restaurant and food branding. However, it is the implementation of the branding activities that can help you to fully maximize the effects of using a branding tool in the presence of your menu. If you are already developing a menu for an event or for your restaurant, ensure that you are reminded of the things that we have discussed so you can be guided from the planning up to the actual creation of your printable menu.